The American Health Council appointed Dung Trinh, MD to its Board of Physicians for his outstanding contributions to the medical field. 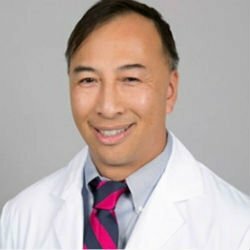 Dr. Trinh maintains a very active schedule as currently serves as the chief medical officer and staff physician at Irvine Clinical Research, president and founder of TongueOut Corporation and clinical assistant professor at the University of California, Irvine — College of Medicine in Irvine, Calif. Since entering the healthcare field, Dr. Trinh has expanded his skills and knowledge in educating and communicating with the public regarding health prevention. Born in Vietnam in 1970 amid the Vietnam War, Dr. Trinh’s early childhood memories are clouded with fear of his war-torn surroundings. Afraid of sudden flashes of bright lights, he and his family slept under their beds in fear that their roof would collapse above them. On April 29, 1975 — one day before the end of the war — a helicopter carrying U.S. troops landed in his village. Dr. Trinh watched as families flooded the helicopters to escape from the combat zone. As he and his family boarded a chopper, Dr. Trinh studied the servicemen and noticed their guns. At 5 years old, that was the first time he felt a glimpse of hope. Grateful that his family was able to start fresh in California, Dr. Trinh enlisted in the U.S. Marines Corps after graduating from high school in 1987. He served as a non-commissioned officer for five years and during that time, he yearned to pursue a long-lasting profession that allowed him to help others and give back to his community. Settling in the medical field, he decided to apply to the New York Medical College. He was granted an honorable discharge after he was accepted to the medical institution and he eventually earned a medical degree in 1996. Taking advantage of the myriad opportunities that presented themselves throughout his career, Dr. Trinh expanded his resume and skills by accepting several leadership roles. He was named chief medical officer at Irvine Clinical Research in 2017 and has since worked on clinical research to advance Alzheimer’s care through prevention and lifestyle changes. In that role, he speaks publicly three times a week to educate the community about diverse topics and promotes brain health. As a staff physician, he provides updates, diagnosis and treatment, and works on team development using new medicine. Additionally, Dr. Trinh participates in Healthy Brain Club, a free service offered by doctors at Irvine Clinical Research for individuals concerned about memory loss. The free consultation includes a customized Alzheimer’s Risk Reduction Plan, free memory screenings, brain health nutrition and a free Alzheimer’s genetic testing for qualifying patients. In 2014, Dr. Trinh founded TongueOut Corporation, a non-profit charity that provides free medical care to the underserved in developing countries. Most recently, the charity provided medical and non-medical services to Houston after Hurricane Harvey flooded the city’s streets last August. Dr. Trinh announced that 43 volunteers, including doctors, nurses, respiratory therapists, chaplains and TongueOut Youth Ambassadors assisted the charity’s partner, Calvary Chapel West Houston. Dr. Trinh remains very active with the charity, as he serves as its president. Additionally, has served as president and founder of Iggyigette, LLC, a real estate investment corporation, since its inception in 2003. He previously served as the medical director of the Innovation Center of Memorial Care Medical Group in 2010 for seven years, where he applied LEAN management methodology to improve patient experience and healthcare delivery. He assumed the same role at Bristol Park Medical Group Mission from 2005 to 2010. To commemorate his efforts toward improving others’ lives, he was awarded the Orange County Physician of Excellence Award for 10 consecutive years between 2006 and 2016. He serves on the Alzheimer’s Orange County Medical and Scientific Advisory Board, is a diplomate of the American Board of Geriatric Medicine, a diplomate of the American Board of Internal Medicine and holds a Medical Acupuncture Certification. In his free time, he enjoys spending time with his family, including his daughter, who is in high school, and his son, who is studying economics in college. With a successful career at hand, Dr. Trinh enjoys communicating with the public on the importance of health prevention. He plans to continue to increase awareness, spread knowledge and lecture the community on Alzheimer’s education. He has been working on developing a program portal for the education and prevention of Alzheimer’s that is free to all. Irvine Center for Clinical Research delivers clinical research opportunities and solutions to participants and sponsors, as well as offers all study-related medical care and medications at no cost to qualified participants. The center has proudly served thousands of participants from the greater Los Angeles area since its original founding in 1978. Healthy Brain Club is a free service offered by doctors at Irvine Clinical Research for individuals concerned about memory loss. The free consultation includes a customized Alzheimer’s Risk Reduction Plan, free memory screenings, brain health nutrition and a free Alzheimer’s genetic testing for qualifying patients. TongueOut’s purpose is to be servants for those in developing countries who are hidden and forgotten by society. They want them to know that HOPE exists and that they are LOVED. The charity’s purpose is also to mold and shape the hearts and minds of children and students who volunteer with them – to create the next generation of Servant Leaders focused on “loving others more than yourself.” They believe that “When we “lose ourselves” in the service of others, somehow we end up finding ourselves and our purpose. Ranked as one of the top 50 U.S. medical schools for research by U.S. News & World Report, the UC Irvine School of Medicine is dedicated to advancing medical knowledge and clinical practice through scholarly research, physician education and high-quality care. The medical school nurtures the development of medical students, resident physicians and scholars in the clinical and basic sciences and supports the dissemination of research advances for the benefit of society.